If you've got information that isn't coming through into Figured despite running a sync, it's possible that the connection between Figured and Xero has been disconnected. This can happen due for a few reasons, none of which should be a cause for concern, as the integrity of your data and security is maintained if the connection should drop out. Figured will let you know if your account has become disconnect by adding an X to the Xero sync icon. Alternatively, you can always check the connection by heading into the Settings > Xero connection. If it is disconnected, click Reconnect to Xero. You'll then be taken to the Xero login page. Once logged into Xero, Figured will redirect you to the authorise application page in Xero. Ensure that your Xero account shows in the drop down menu, then click Allow access. You’ve now successfully reconnected your Xero account and will be automatically redirected back to Figured. 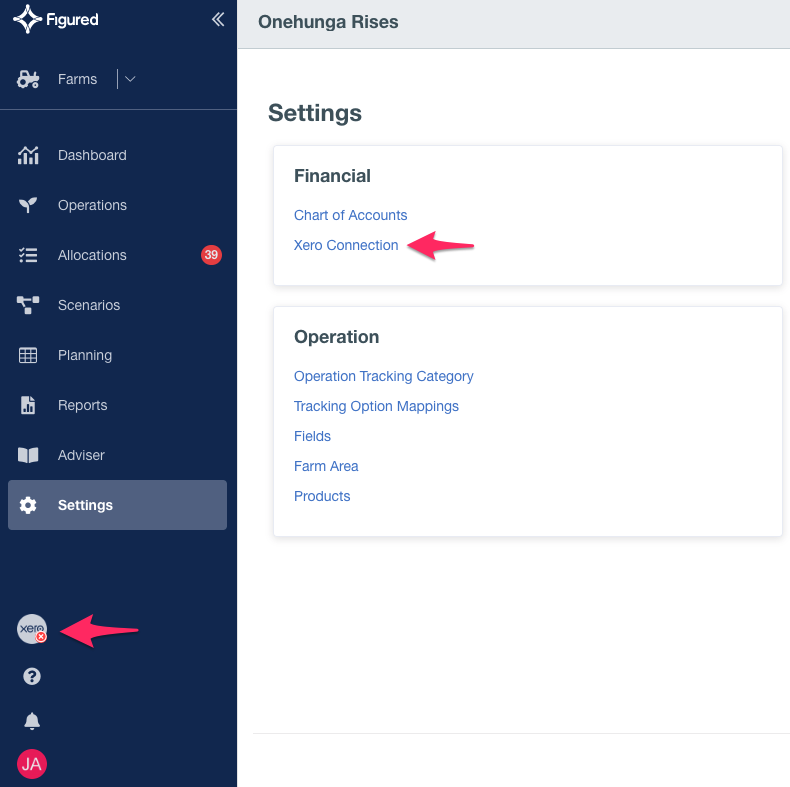 NOTE: Once a farm has been connected to a Xero account, it cannot be disconnected and reconnected to another Xero account.